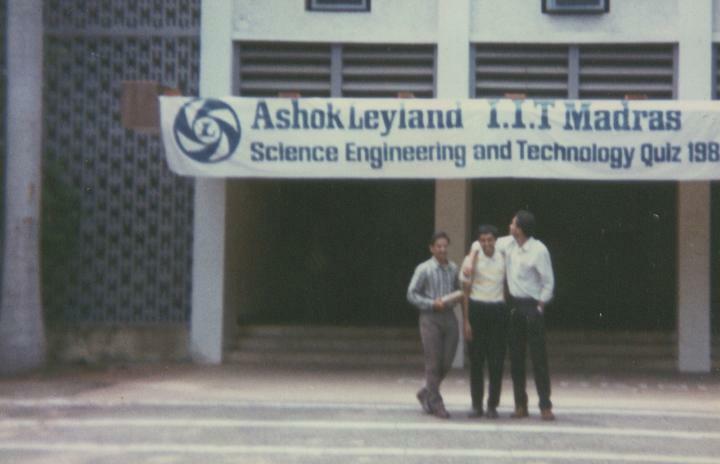 The winning team at the Ashok Leyland Science Engineering and Technology Quiz 1989 at IIT Madras. Left to right: K Vijaykumar, Ashutosh Chatterji, Anirban Mukharji. 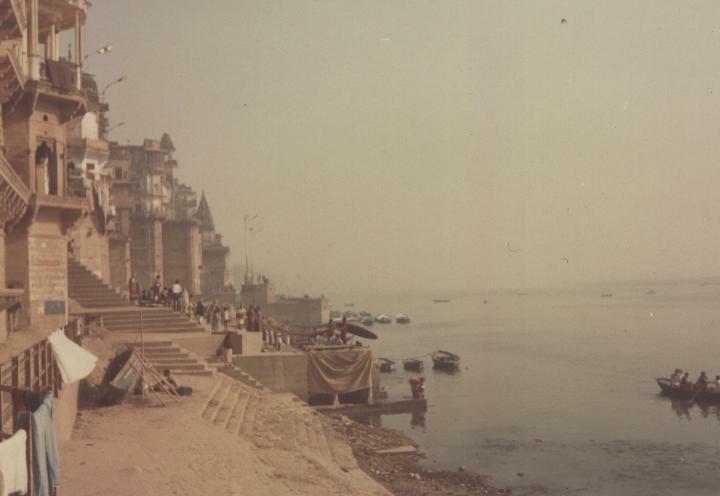 Dashashwamedh Ghat, Varanasi, 1990. Made two trips to the Benares Hindu University in Varanasi as part of their Kashi Yatra youth festivals. This picture was taken by team mate, Nimish Vohra. 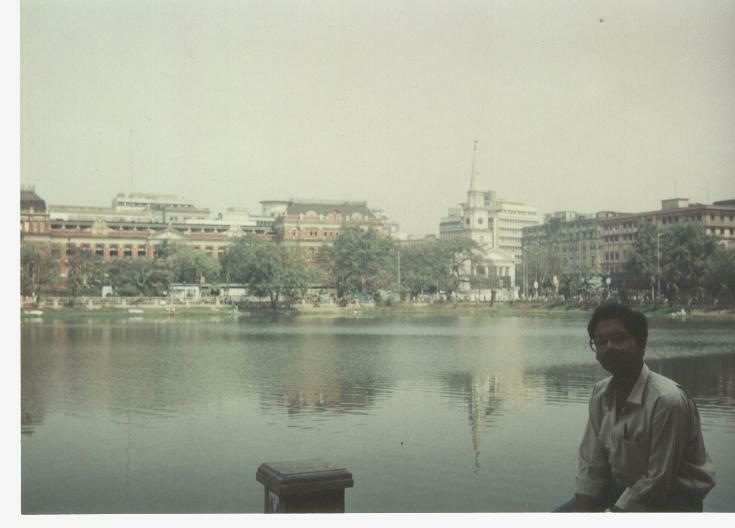 Dalhousie Square, Calcutta, January 1992 with a clear view of Writer's Building and St. Andrew's Kirk across the Lal Dighi. Shantanu Som sitting the boat ramp next to Telephone Bhawan. Shantanu Som and I presented a student paper at the local IEEE gathering at The Grand.